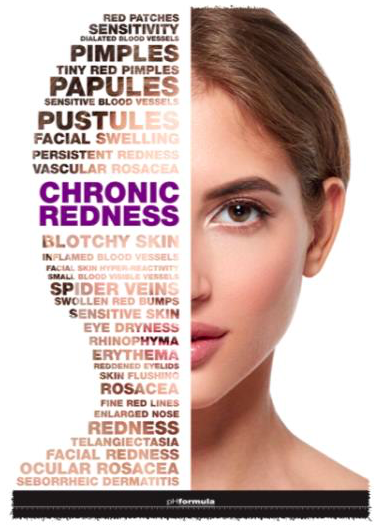 Treatment for chronic redness and rosacea skin has to be delicate and slow as the skin barrier is impaired. pH formula CR Complex is specifically formulated with anti-microbial activity to reduce erythrosis and prevent relapses. 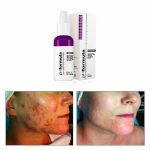 For best results and to reduce the risk of any skin reactions as using powerful combinations of acids, it is recommended that you use the prescribed pH formula skincare products 2–3 weeks prior to the treatment, during and after the course of treatment has finished. The cost of the prescribed products are incorporated into the price of the course of treatment. The use of an U.V. protect SPF 30+ is essential to protect the skin from UV radiation. 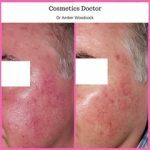 Please note that it is recommended that extended sun exposure must be avoided, especially in the 10 days prior to the treatment.